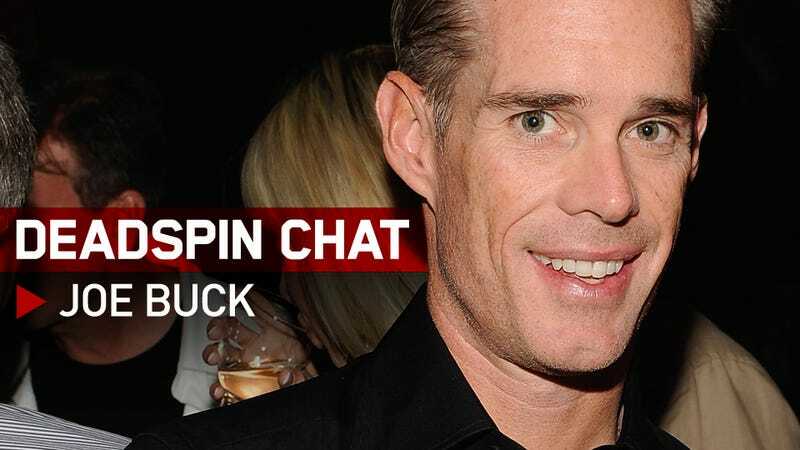 We have Fox broadcaster and occasional Deadspin contributor Joe Buck in the discussion below. He'll be taking your questions for however long he can stand it. Fire away, Deadspinners. Update (4:40 p.m.): And we're done. Everyone thank Joe Buck and never say anything mean about him again.